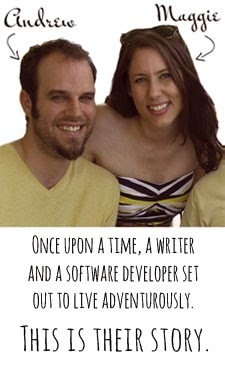 We’re Andrew and Maggie Hall, a software developer and a YA writer originally from Albuquerque, New Mexico. 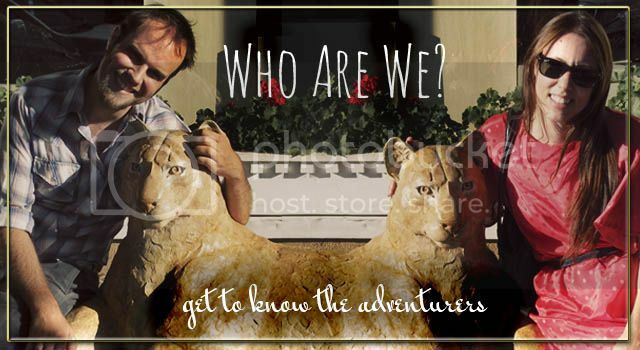 We’ve been married almost four years, and travel as much as we can! Six months (to a year?) of travel around the world. We left home with solid plans to spend a little time in the US, a month in Paris, and end up on a beach in Thailand. From there, we’ll go wherever strikes our fancy. We officially left home on June 24, 2013, and after the first couple months of planned travel, we’re taking it a day at a time until we feel like coming home. …Why not? We love travel, and both of us have done quite a bit of it over the years. Most of our travel, though, has been separate. Now we’re doing it together. 1. Long-term travel isn’t as expensive as you think. Since we’ll be spending most of our time in inexpensive countries, we’ll actually be *saving* money over living in the USA for that amount of time, even after plane tickets. 2. We’re working on the road. We’re fortunate to be in a place right now where we can both work from anywhere we have computers, and we’re taking advantage of it. We each have a backpack, and we have one messenger bag to carry day-to-day. We’re not taking much. Look out for a post with more specifics soon. Yeah, probably. Here’s the thing. Yes, most people do this kind of thing straight out of college, but that wasn’t in the cards for us. And now it is. We have the rest of our lives to be adults, and we subscribe to the philosophy that Tim Ferris explains nicely in The Four-Hour Workweek: don’t defer your life. So many people spend from age 22-62 in jobs they hate in hopes that they'll be able to enjoy life once they retire. What kind of way is that to live? (I know not everyone hates their job—worst case scenario here!) Though we are careful to be realistic (we would never put a trip like this on credit thinking we could pay it back later, for example! ), we do spend less time than some people our age doing grown-up things like investing in property, etc. We understand that you're concerned. Which of you writes the blog? Will you send me pictures? It's your lucky day! 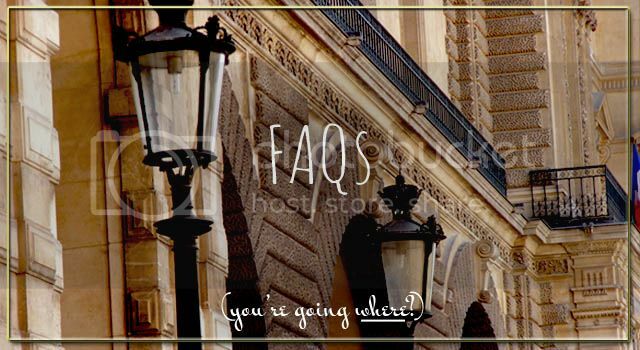 This blog will be our go-to place for displaying pictures and telling you guys about our travels. Well we have enjoyed your blog. Of course we're your parents (Andrew's at least). Keep the photos and the stories coming. Glad you guys are enjoying it! And we will!